Hola Amigos! Planning a trip to Mexico? Have a well thought out list of things to do, places to visit, and best shopping streets, but wondering what to eat in the spice land? If you’re not a spice person, no need to worry, this country has a lot to offer for everyone. Here is a list of foods that you have to try out there. Mexico is sure to tickle your taste buds. 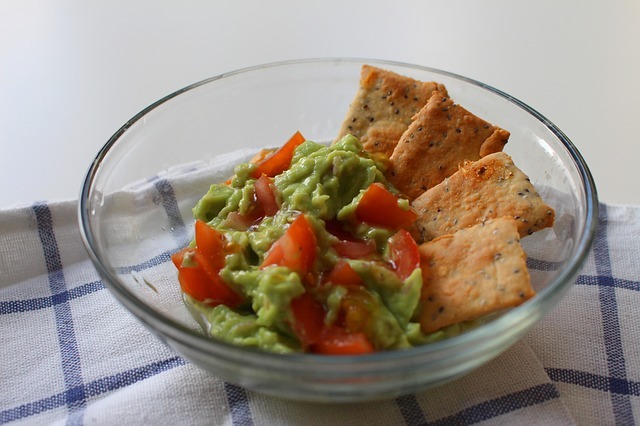 First to top the list is Mexico’s very own guacamole, a healthy dip primarily made of avocado. It is used more as a salad to be had along with some tortilla chips or nachos. 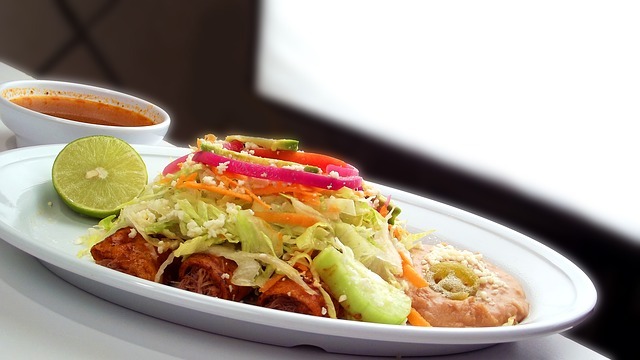 It dates back to Aztecs, so this is one of the most authentic Mexican food. If you’re into cooking, you can definitely try this easy dish and here’s something for the cook- cutitfine.com. Tacos al pastor is a popular dish of this flavorful country. This taco has a Lebanese touch. Slow roasted and seasoned pork is filled in the taco with onions, cilantro, salsa etc. It is easily the most delicious item you’ll come across in Mexico. Enchilada is all about versatility, customizable to suit your taste. 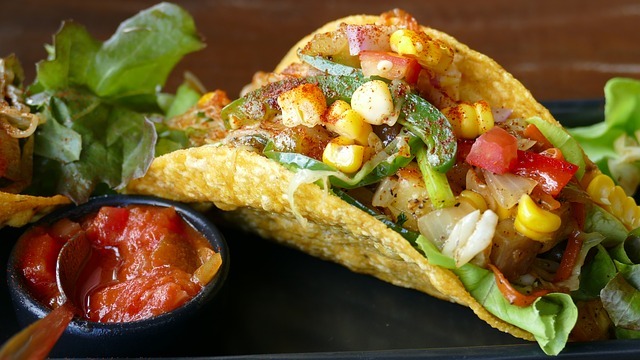 Take a corn tortilla and then choose between meat and seafood, now choose your toppings, vegetables, beans, cheese or something else. All those will be covered by chilli pepper sauce. That’s Mexican style! 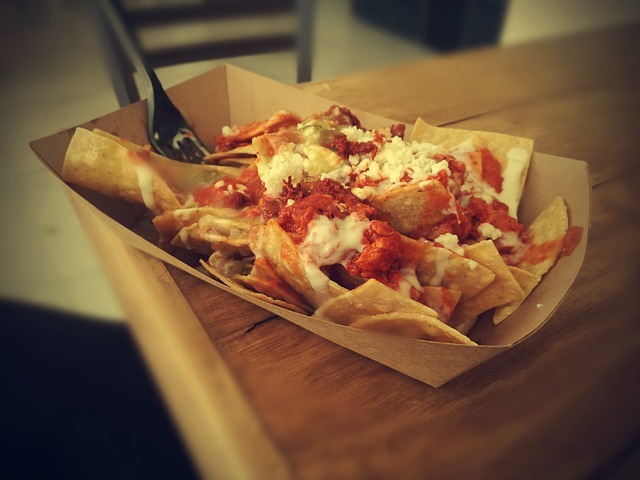 If you want tortilla, salsa, meat, cheese all at once then chilaquiles is your answer. The broken tortilla of this dish will be lightly fried to give a bit crispiness. And you can prefer to have avocado slices with it too. Mouthwatering, I say. No matter what you eat your sweet tooth will have its own demand. If this happens to you in Mexico then go for churros, a fried sweet snack. 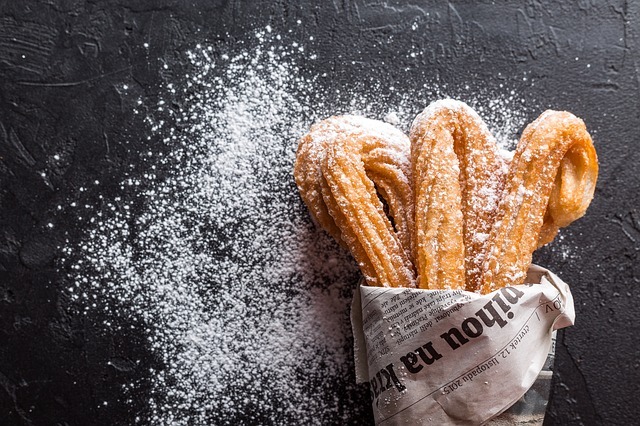 With churros you can try another popular item which is dulce de leche, as a dip. You can also check out best Mexican desserts. When you are in Mexico, you’ve got to have a lot of tacos. They mostly use corn tortilla and lots of fresh veggies so it’s a healthy option. 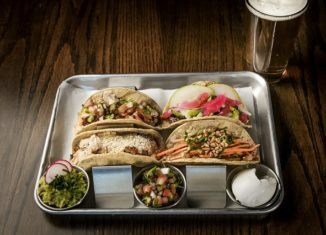 Try to taste different varieties at all the different places that you visit because versatility is the synonym for tacos. 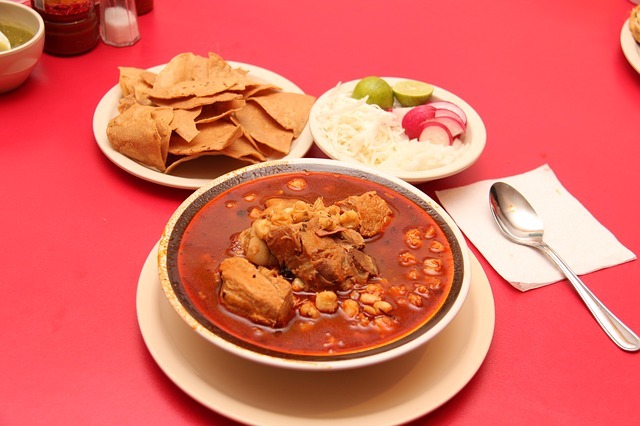 If you’re craving soup in Mexico then order Pozole, a traditional soup. Pozole is made with hominy corn and chicken or pork is optionally added. Its Mexican soup so it will have the Mexican touch to it, the soup will take your taste buds on a ride with spices and herbs. Refried beans named Frijoles Refritos is readily available in Mexico, it is one of the staple foods that you must try. The beans are cooked and mashed to form a side dish for many other food options. It is fulfilling as well as healthy. Elote is basically a boiled, sometimes grilled, corn served on a stick which looks like an ice-cream. 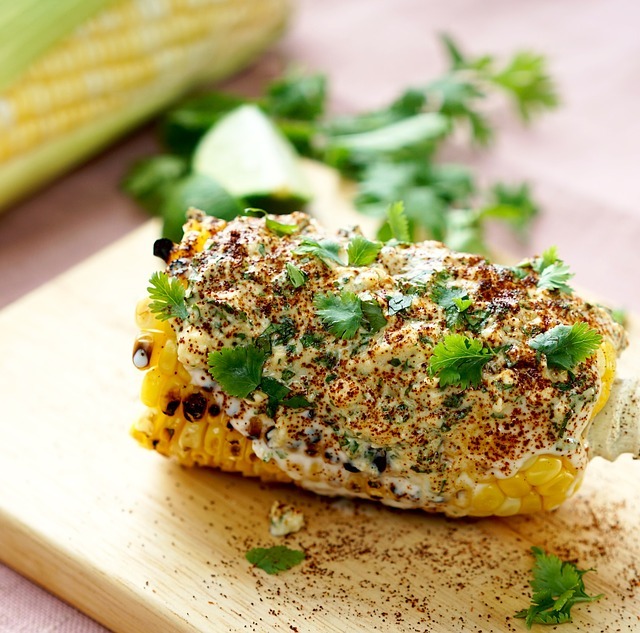 Elote is sprinkled with salt and chilli powder, sometimes, lime and butter also, so it’ll vary with every vendor. It is a popular Mexican street food so is available in almost every street. 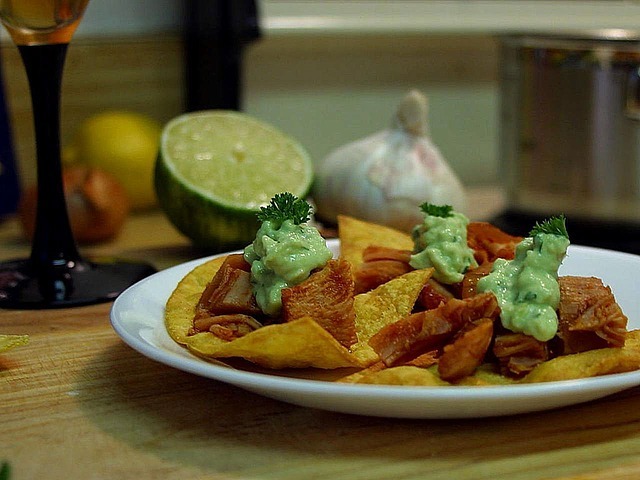 Nachos have gained a lot of popularity now a days. And they hail from Mexico too. You can say you’ve had lots of nachos before, no point having it on a vacation. But there will be a difference in having a dish right where it originated. Authenticity, folks. Mexico is very popular for its cuisine and now we know the reason why. There are many other delectable dishes that this country has brought to the world, each one as unique and savory as the other. So, eat all you want in the vibrant country of Mexico.